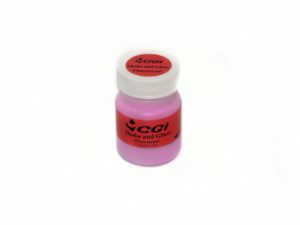 View cart “Fluorescent low glaze powder, 5g” has been added to your cart. CGI Universal Fluorescent Glaze paste is intended for use in glazing all types of dental ceramic restorative materials, especially lithium disilicate, lithium silicate and zirconia restorations. The ideal level of fluorescence enhances the optical properties of the restoration to mimic the appearance of natural teeth under all lighting conditions. The paste permits easy application over the surface of the restoration and saves time during the preparation and application.